Kaitlin Collins began dancing at the age of five, and has studied tap, jazz, ballet, clogging, musical theater, acro, and hip-hop. She was a member of the Carlsbad High School Dance Team in Carlsbad, California where her team won titles at the UDA National Dance Team Championship in 2002 and 2003. In 2002, Kaitlin danced in Legoland’s Bionical Jam show. In the fall of 2003, she attended Long Beach State University where she was a member of the Dance Team that traveled to NDA Nationals in Daytona Beach, Florida. 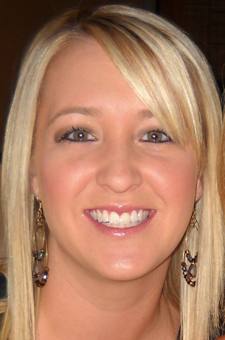 Kaitlin has been teaching dance for 11 years in North County, San Diego. She coached the Mission Hills High School Dance Team in San Marcos, CA for five years where they competed at the UDA NDTC from 2010 - 2013. Under her leadership, the team had top ten finishes in the Jazz, Hip Hop, and Pom categories. Kaitlin has choreographed for several high schools in North County and across the nation in the styles of jazz, pom and hip hop. Kaitlin currently coaches the Dance Team at San Pasqual High School in Escondido, CA and is in her third year coaching with SDSU. One of her main responsibilities is choreography, including SDSU’s 2014 and 2015 Hip Hop nationals routines. In 2015, the team placed fourth at UDA’s College Nationals in Jazz and seventh in Hip Hop. The team won first in both Jazz and Hip Hop at USA’s College Championships in 2015. Kaitlin has worked as an Instructor at Dance Unlimited Performing Arts Academy in Oceanside for 4 years. She loves sharing her joy for dance with all of her students.